Misdemeanor battery charges have been officially dropped against Academy Award-winning actor Cuba Gooding Jr.
Misdemeanor battery charges related to a bar dust-up in New Orleans' French Quarter have been officially dropped against Academy Award-winning actor Cuba Gooding Jr.
City spokesman Ryan Berni said an arraignment hearing was held Friday but there was no one to press the complaint. As a result, he said, the city moved to drop the charges. "This ends the case," Berni said. The Times-Picayune reports Gooding, 44, did not appear at the brief hearing before Judge Sean Early. The hearing came two days after an Old Absinthe House employee said she was dropping charges against him. Police say the bartender told them that Gooding became upset after patrons started asking him to pose for photos with them at about 3 a.m. The bartender told investigators that Gooding pushed her after she asked him to calm down and again after she told him he should leave and that police had been called. 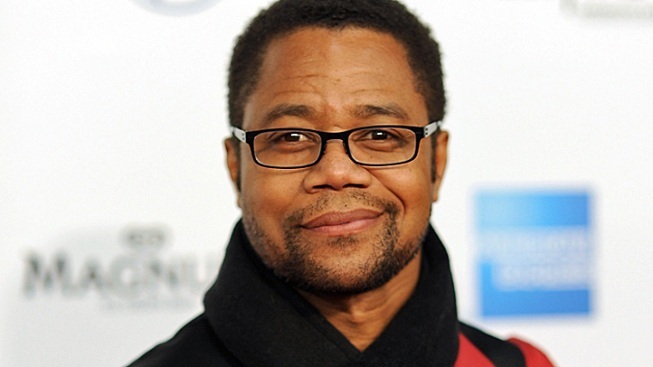 Gooding won the 1997 Academy Award for best supporting actor for his portrayal of a fictional pro football player in "Jerry Maguire" starring Tom Cruise. In the film, he says the now-familiar line to his agent, "Show me the money!" He has been in New Orleans filming "The Butler," a movie about a White House butler who serves eight American presidents. The film stars Nicole Kidman, Liam Neeson, John Cusack, Jane Fonda, Robin Williams, Alex Pettyfer and Minka Kelly.